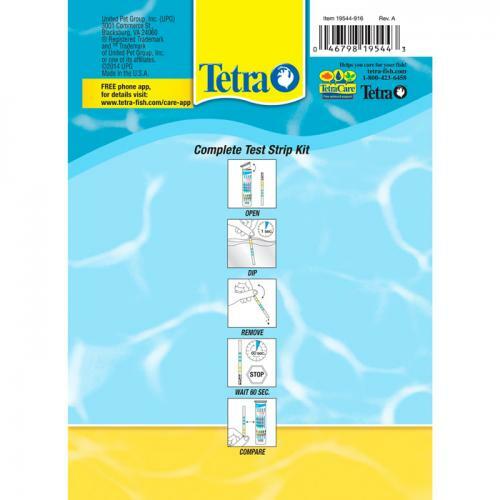 Brief Description: This kit is the most advanced kit that Tetra® makes. It includes 25 of the 6 in 1 Testing Strips and 25 of the Ammonia Testing Strips. So, this kit will provide the testing of ammonia, chlorine, nitrates, nitrites, general water hardness (GH), alkalinity (KH), and pH levels. You will get the most out of this kit to make sure you have the healthiest aquarium around. 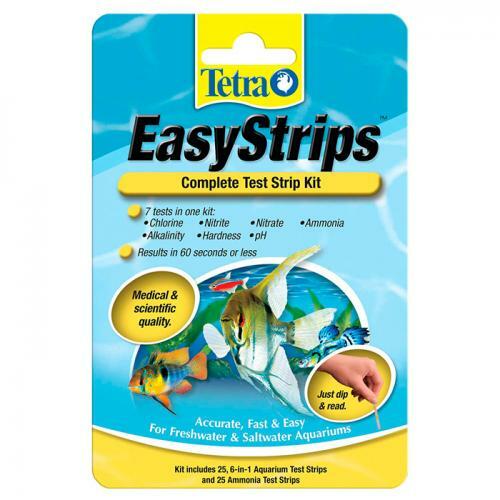 Notify me when "Tetra Easystrips Complete Test Strip Kit [25 pk]" is re-stocked.